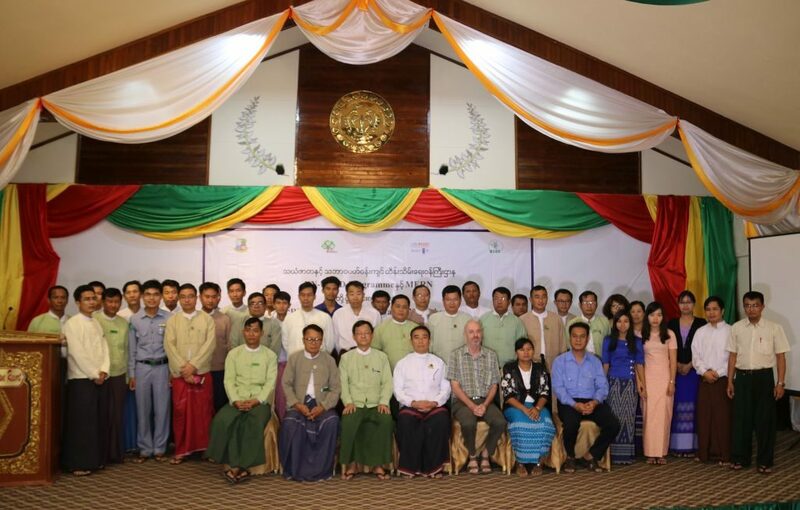 Sub-national level workshop on National REDD+ Strategy Development was held in Sittwe, Rakhine State (6-7 April). Around 50 participants from respective departments and local CSOs participated 2-day consultation workshop.The objectives of the workshop are: to raise awareness and share information about the National REDD+ Strategy; obtain feedback regarding feasibility of priority policies and measures (PAMs) proposed for the key drivers in the state-region; to identify potential benefits and risks of the priority PAMs and recommend ways to strengthen proposed PAMs. At the opening event on 6 April, U Kyaw Lwin, Rakhine State Minister for Agriculture, Livestock, Forestry, Mining and U Aung Win Tun, Director of Rakhine State Forest Department gave the opening remarks respectively. Based on existing drivers of deforestation and forest degradation and proposed policies and measures (PaMs) mentioned in the draft National REDD+ Strategy, the participants have reviewed and identified key drivers relevant for Rakhine State such as “Timber Harvesting & Illegal Logging”, “Fuel Wood Collection & Charcoal Production”, “Small Scale Agriculture”, “Shifting Cultivation” and additional topic to discuss on “Conservation & Enhancement”. Considering all these drivers, interactive group discussions on each topic were followed in order to complement existing PaMs proposed in draft strategy. Based on prioritized PaMs, group presentations were focused on strong point & weak point of feasibility, risks & benefits of each PaMs, recommendations addressed for proposed risk and feasibility. This consultation workshop in Rakhine State is the 14th of all sub-national workshops for NRS development. And the last and 15th workshop will be held in Yangon on 9-10 April.